I started playing piano when I was 5 years old because I wanted to play piano like my Mom. I continued through high school and two years of college classes towards a music teaching degree at UW-Eau Claire. Piano teaching is my 3rd career. I have previously worked as a secretary and a computer programmer. I have been teaching piano since 1993. I live with my husband, David Lagerman, 2 cats and a corgi in the beautiful northern Kettle Moraine, southwest of Plymouth, WI. I love sharing music with people and am so blessed to have found my way back to my original goal -- teaching music. I hope you will choose to come and share music with me in my Piano Studio! 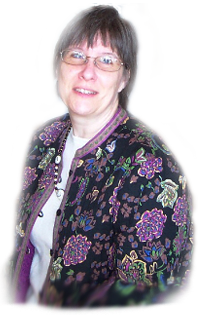 * Nationally Certified Teacher of Music-Piano - Music Teachers National Assoc.